Monkey Lid Yixing Teapot (Purple Clay Teapot), 6 oz capacity. This teapot is traditionally used to brew only one type of tea. The tea leaves are placed directly in the teapot. Over time, the teapot will become seasoned, as the porous nature of the teapot absorbs the flavor and aroma of the tea leaves. Ultimately, the seasoned clay teapot will enhance the taste, color and aroma of future steeps of the same tea. Mahamosa is committed to donating 50% of after-tax net profits to charity, as part of its Being in the World(R) mission. 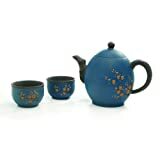 Buds and Leaves Yixing Teapot (Purple Clay Teapot), 6 oz capacity. 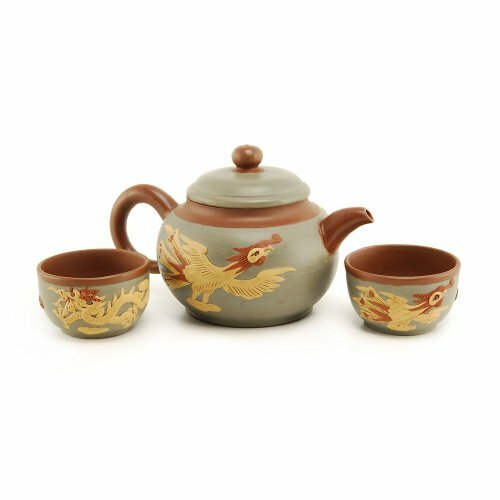 This teapot is traditionally used to brew only one type of tea. The tea leaves are placed directly in the teapot. Over time, the teapot will become seasoned, as the porous nature of the teapot absorbs the flavor and aroma of the tea leaves. Ultimately, the seasoned clay teapot will enhance the taste, color and aroma of future steeps of the same tea. Mahamosa is committed to donating 50% of after-tax net profits to charity, as part of its Being in the World(R) mission.